THIS LIBRARY IS DEPRECATED. NEW CODE SHOULD BE WRITTEN TO USE THE MORE VERSATILE pigpiod_if2 LIBRARY. pigpiod_if is a C library for the Raspberry which allows control of the GPIO via the socket interface to the pigpio daemon. ALL GPIO are identified by their Broadcom number. The PWM and servo pulses are timed using the DMA and PWM/PCM peripherals. Include <pigpiod_if.h> in your source files. For examples see x_pigpiod_if.c within the pigpio archive file. gpio_trigger Send a trigger pulse to a GPIO. set_watchdog Set a watchdog on a GPIO. pigpio_error Get a text description of an error code. Delay execution for a given number of seconds. seconds: the number of seconds to delay. Return a text description for an error code. Starts a new thread of execution with thread_func as the main routine. thread_func: the main function for the new thread. userdata: a pointer to an arbitrary argument. Returns a pointer to pthread_t if OK, otherwise NULL. The function is passed the single argument userdata. The thread can be cancelled by passing the pointer to pthread_t to stop_thread. Cancels the thread pointed at by pth. pth: the thread to be stopped. The thread to be stopped should have been started with start_thread. Connect to the pigpio daemon. Reserving command and notification streams. pigpio daemon. It may be NULL in which case "8888"
Terminates the connection to the pigpio daemon and releases resources used by the library. Returns 0 if OK, otherwise PI_BAD_GPIO, PI_BAD_MODE, or PI_NOT_PERMITTED. Returns the GPIO mode if OK, otherwise PI_BAD_GPIO. Set or clear the GPIO pull-up/down resistor. Returns 0 if OK, otherwise PI_BAD_GPIO, PI_BAD_PUD, or PI_NOT_PERMITTED. Returns the GPIO level if OK, otherwise PI_BAD_GPIO. Returns 0 if OK, otherwise PI_BAD_GPIO, PI_BAD_LEVEL, or PI_NOT_PERMITTED. If PWM or servo pulses are active on the GPIO they are switched off. Start (non-zero dutycycle) or stop (0) PWM pulses on the GPIO. dutycycle: 0-range (range defaults to 255). The set_PWM_range function may be used to change the default range of 255. Return the PWM dutycycle in use on a GPIO. Returns 0 if OK, otherwise PI_BAD_USER_GPIO or PI_NOT_PWM_GPIO. For normal PWM the dutycycle will be out of the defined range for the GPIO (see get_PWM_range). If a hardware clock is active on the GPIO the reported dutycycle will be 500000 (500k) out of 1000000 (1M). If hardware PWM is active on the GPIO the reported dutycycle will be out of a 1000000 (1M). Set the range of PWM values to be used on the GPIO. Returns 0 if OK, otherwise PI_BAD_USER_GPIO, PI_BAD_DUTYRANGE, or PI_NOT_PERMITTED. If PWM is currently active on the GPIO its dutycycle will be scaled to reflect the new range. The real value set by set_PWM_range is (dutycycle * real range) / range. Get the range of PWM values being used on the GPIO. Returns the dutycycle range used for the GPIO if OK, otherwise PI_BAD_USER_GPIO. If a hardware clock or hardware PWM is active on the GPIO the reported range will be 1000000 (1M). Get the real underlying range of PWM values being used on the GPIO. Returns the real range used for the GPIO if OK, otherwise PI_BAD_USER_GPIO. If a hardware clock is active on the GPIO the reported real range will be 1000000 (1M). If hardware PWM is active on the GPIO the reported real range will be approximately 250M divided by the set PWM frequency. Set the frequency (in Hz) of the PWM to be used on the GPIO. Returns the numerically closest frequency if OK, otherwise PI_BAD_USER_GPIO or PI_NOT_PERMITTED. If PWM is currently active on the GPIO it will be switched off and then back on at the new frequency. Each GPIO can be independently set to one of 18 different PWM frequencies. The selectable frequencies depend upon the sample rate which may be 1, 2, 4, 5, 8, or 10 microseconds (default 5). The sample rate is set when the pigpio daemon is started. Get the frequency of PWM being used on the GPIO. For normal PWM the frequency will be that defined for the GPIO by set_PWM_frequency. If a hardware clock is active on the GPIO the reported frequency will be that set by hardware_clock. If hardware PWM is active on the GPIO the reported frequency will be that set by hardware_PWM. Returns the frequency (in hertz) used for the GPIO if OK, otherwise PI_BAD_USER_GPIO. Start (500-2500) or stop (0) servo pulses on the GPIO. pulsewidth: 0 (off), 500 (anti-clockwise) - 2500 (clockwise). Returns 0 if OK, otherwise PI_BAD_USER_GPIO, PI_BAD_PULSEWIDTH or PI_NOT_PERMITTED. The selected pulsewidth will continue to be transmitted until changed by a subsequent call to set_servo_pulsewidth. The pulsewidths supported by servos varies and should probably be determined by experiment. A value of 1500 should always be safe and represents the mid-point of rotation. You can DAMAGE a servo if you command it to move beyond its limits. This function updates servos at 50Hz. If you wish to use a different update frequency you will have to use the PWM functions. Firstly set the desired PWM frequency using set_PWM_frequency. Then set the PWM range using set_PWM_range to 1E6/Hz. Doing this allows you to use units of microseconds when setting the servo pulsewidth. Thereafter use the set_PWM_dutycycle function to move the servo, e.g. set_PWM_dutycycle(25, 1500) will set a 1500 us pulse. Return the servo pulsewidth in use on a GPIO. Returns 0 if OK, otherwise PI_BAD_USER_GPIO or PI_NOT_SERVO_GPIO. Get a free notification handle. Returns a handle greater than or equal to zero if OK, otherwise PI_NO_HANDLE. A notification is a method for being notified of GPIO state changes via a pipe. Pipes are only accessible from the local machine so this function serves no purpose if you are using the library from a remote machine. The in-built (socket) notifications provided by callback should be used instead. Notifications for handle x will be available at the pipe named /dev/pigpiox (where x is the handle number). E.g. if the function returns 15 then the notifications must be read from /dev/pigpio15. Start notifications on a previously opened handle. bits: a mask indicating the GPIO to be notified. Returns 0 if OK, otherwise PI_BAD_HANDLE. The notification sends state changes for each GPIO whose corresponding bit in bits is set. flags: two flags are defined, PI_NTFY_FLAGS_WDOG and PI_NTFY_FLAGS_ALIVE. PI_NTFY_FLAGS_WDOG, if bit 5 is set then bits 0-4 of the flags indicate a GPIO which has had a watchdog timeout. PI_NTFY_FLAGS_ALIVE, if bit 6 is set this indicates a keep alive signal on the pipe/socket and is sent once a minute in the absence of other notification activity. Pause notifications on a previously opened handle. Notifications for the handle are suspended until notify_begin is called again. Stop notifications on a previously opened handle and release the handle for reuse. Sets a watchdog for a GPIO. Returns 0 if OK, otherwise PI_BAD_USER_GPIO or PI_BAD_WDOG_TIMEOUT. The watchdog is nominally in milliseconds. Only one watchdog may be registered per GPIO. The watchdog may be cancelled by setting timeout to 0. Once a watchdog has been started callbacks for the GPIO will be triggered every timeout interval after the last GPIO activity. The callback will receive the special level PI_TIMEOUT. Sets a glitch filter on a GPIO. Level changes on the GPIO are not reported unless the level has been stable for at least steady microseconds. The level is then reported. Level changes of less than steady microseconds are ignored. Returns 0 if OK, otherwise PI_BAD_USER_GPIO, or PI_BAD_FILTER. This filter affects the GPIO samples returned to callbacks set up with callback, callback_ex and wait_for_edge. It does not affect levels read by gpio_read, read_bank_1, or read_bank_2. Each (stable) edge will be timestamped steady microseconds after it was first detected. Sets a noise filter on a GPIO. Level changes on the GPIO are ignored until a level which has been stable for steady microseconds is detected. Level changes on the GPIO are then reported for active microseconds after which the process repeats. It does not affect levels read by gpio_read, read_bank_1, or read_bank_2. Level changes before and after the active period may be reported. Your software must be designed to cope with such reports. Read the levels of the bank 1 GPIO (GPIO 0-31). The returned 32 bit integer has a bit set if the corresponding GPIO is logic 1. GPIO n has bit value (1<<n). Read the levels of the bank 2 GPIO (GPIO 32-53). The returned 32 bit integer has a bit set if the corresponding GPIO is logic 1. GPIO n has bit value (1<<(n-32)). Clears GPIO 0-31 if the corresponding bit in bits is set. Returns 0 if OK, otherwise PI_SOME_PERMITTED. A status of PI_SOME_PERMITTED indicates that the user is not allowed to write to one or more of the GPIO. Clears GPIO 32-53 if the corresponding bit (0-21) in bits is set. Sets GPIO 0-31 if the corresponding bit in bits is set. Sets GPIO 32-53 if the corresponding bit (0-21) in bits is set. Starts a hardware clock on a GPIO at the specified frequency. Frequencies above 30MHz are unlikely to work. Returns 0 if OK, otherwise PI_NOT_PERMITTED, PI_BAD_GPIO, PI_NOT_HCLK_GPIO, PI_BAD_HCLK_FREQ,or PI_BAD_HCLK_PASS. The same clock is available on multiple GPIO. The latest frequency setting will be used by all GPIO which share a clock. The GPIO must be one of the following. Access to clock 1 is protected by a password as its use will likely crash the Pi. The password is given by or'ing 0x5A000000 with the GPIO number. Starts hardware PWM on a GPIO at the specified frequency and dutycycle. Frequencies above 30MHz are unlikely to work. NOTE: Any waveform started by wave_send_once, wave_send_repeat, or wave_chain will be cancelled. This function is only valid if the pigpio main clock is PCM. The main clock defaults to PCM but may be overridden when the pigpio daemon is started (option -t). Returns 0 if OK, otherwise PI_NOT_PERMITTED, PI_BAD_GPIO, PI_NOT_HPWM_GPIO, PI_BAD_HPWM_DUTY, PI_BAD_HPWM_FREQ, or PI_HPWM_ILLEGAL. The same PWM channel is available on multiple GPIO. The latest frequency and dutycycle setting will be used by all GPIO which share a PWM channel. Gets the current system tick. Tick is the number of microseconds since system boot. As tick is an unsigned 32 bit quantity it wraps around after 2**32 microseconds, which is approximately 1 hour 12 minutes. Get the Pi's hardware revision number. The hardware revision is the last few characters on the Revision line of /proc/cpuinfo. If the hardware revision can not be found or is not a valid hexadecimal number the function returns 0. The revision number can be used to determine the assignment of GPIO to pins (see gpio). Type 1 boards have hardware revision numbers of 2 and 3. Type 2 boards have hardware revision numbers of 4, 5, 6, and 15. Type 3 boards have hardware revision numbers of 16 or greater. This function clears all waveforms and any data added by calls to the wave_add_* functions. This function starts a new empty waveform. You wouldn't normally need to call this function as it is automatically called after a waveform is created with the wave_create function. This function adds a number of pulses to the current waveform. numPulses: the number of pulses. pulses: an array of pulses. Returns the new total number of pulses in the current waveform if OK, otherwise PI_TOO_MANY_PULSES. The pulses are interleaved in time order within the existing waveform (if any). Merging allows the waveform to be built in parts, that is the settings for GPIO#1 can be added, and then GPIO#2 etc. If the added waveform is intended to start after or within the existing waveform then the first pulse should consist solely of a delay. This function adds a waveform representing serial data to the existing waveform (if any). The serial data starts offset microseconds from the start of the waveform. str: an array of chars. Returns the new total number of pulses in the current waveform if OK, otherwise PI_BAD_USER_GPIO, PI_BAD_WAVE_BAUD, PI_BAD_DATABITS, PI_BAD_STOP_BITS, PI_TOO_MANY_CHARS, PI_BAD_SER_OFFSET, or PI_TOO_MANY_PULSES. The serial data is formatted as one start bit, data_bits data bits, and stop_bits/2 stop bits. It is legal to add serial data streams with different baud rates to the same waveform. numBytes is the number of bytes of data in str. The bytes required for each character depend upon data_bits. For data_bits 1-8 there will be one byte per character. For data_bits 9-16 there will be two bytes per character. For data_bits 17-32 there will be four bytes per character. This function creates a waveform from the data provided by the prior calls to the wave_add_* functions. Upon success a wave id greater than or equal to 0 is returned, otherwise PI_EMPTY_WAVEFORM, PI_TOO_MANY_CBS, PI_TOO_MANY_OOL, or PI_NO_WAVEFORM_ID. The data provided by the wave_add_* functions is consumed by this function. As many waveforms may be created as there is space available. The wave id is passed to wave_send_* to specify the waveform to transmit. Step 1. wave_clear to clear all waveforms and added data. Step 2. wave_add_* calls to supply the waveform data. Step 4. wave_send_* with the id of the waveform to transmit. A waveform comprises one or more pulses. Each pulse consists of a gpioPulse_t structure. 1) the GPIO to be switched on at the start of the pulse. 2) the GPIO to be switched off at the start of the pulse. 3) the delay in microseconds before the next pulse. Any or all the fields can be zero. It doesn't make any sense to set all the fields to zero (the pulse will be ignored). When a waveform is started each pulse is executed in order with the specified delay between the pulse and the next. Returns the new waveform id if OK, otherwise PI_EMPTY_WAVEFORM, PI_NO_WAVEFORM_ID, PI_TOO_MANY_CBS, or PI_TOO_MANY_OOL. This function deletes the waveform with id wave_id. wave_id: >=0, as returned by wave_create. Wave ids are allocated in order, 0, 1, 2, etc. The wave is flagged for deletion. The resources used by the wave will only be reused when either of the following apply. - all waves with higher numbered wave ids have been deleted or have been flagged for deletion. - a new wave is created which uses exactly the same resources as the current wave (see the C source for gpioWaveCreate for details). Returns 0 if OK, otherwise PI_BAD_WAVE_ID. This function transmits the waveform with id wave_id. The waveform is sent once. NOTE: Any hardware PWM started by hardware_PWM will be cancelled. Returns the number of DMA control blocks in the waveform if OK, otherwise PI_BAD_WAVE_ID, or PI_BAD_WAVE_MODE. This function transmits the waveform with id wave_id. The waveform cycles until cancelled (either by the sending of a new waveform or by wave_tx_stop). This function transmits a chain of waveforms. The waves to be transmitted are specified by the contents of buf which contains an ordered list of wave_ids and optional command codes and related data. Returns 0 if OK, otherwise PI_CHAIN_NESTING, PI_CHAIN_LOOP_CNT, PI_BAD_CHAIN_LOOP, PI_BAD_CHAIN_CMD, PI_CHAIN_COUNTER, PI_BAD_CHAIN_DELAY, PI_CHAIN_TOO_BIG, or PI_BAD_WAVE_ID. Each wave is transmitted in the order specified. A wave may occur multiple times per chain. A blocks of waves may be transmitted multiple times by using the loop commands. The block is bracketed by loop start and end commands. Loops may be nested. Delays between waves may be added with the delay command. If present Loop Forever must be the last entry in the chain. The code is currently dimensioned to support a chain with roughly 600 entries and 20 loop counters. This function checks to see if a waveform is currently being transmitted. Returns 1 if a waveform is currently being transmitted, otherwise 0. This function stops the transmission of the current waveform. This function is intended to stop a waveform started with the repeat mode. This function returns the length in microseconds of the current waveform. This function returns the length in microseconds of the longest waveform created since the pigpio daemon was started. This function returns the length in pulses of the current waveform. This function returns the length in pulses of the longest waveform created since the pigpio daemon was started. This function returns the maximum possible size of a waveform in pulses. This function returns the length in DMA control blocks of the current waveform. This function returns the length in DMA control blocks of the longest waveform created since the pigpio daemon was started. This function returns the maximum possible size of a waveform in DMA control blocks. This function sends a trigger pulse to a GPIO. The GPIO is set to level for pulseLen microseconds and then reset to not level. Returns 0 if OK, otherwise PI_BAD_USER_GPIO, PI_BAD_LEVEL, PI_BAD_PULSELEN, or PI_NOT_PERMITTED. This function stores a script for later execution. script: the text of the script. The function returns a script id if the script is valid, otherwise PI_BAD_SCRIPT. This function runs a stored script. script_id: >=0, as returned by store_script. numPar: 0-10, the number of parameters. param: an array of parameters. param is an array of up to 10 parameters which may be referenced in the script as p0 to p9. This function returns the run status of a stored script as well as the current values of parameters 0 to 9.
param: an array to hold the returned 10 parameters. The function returns greater than or equal to 0 if OK, otherwise PI_BAD_SCRIPT_ID. The current value of script parameters 0 to 9 are returned in param. This function stops a running script. The function returns 0 if OK, otherwise PI_BAD_SCRIPT_ID. This function deletes a stored script. This function opens a GPIO for bit bang reading of serial data. Returns 0 if OK, otherwise PI_BAD_USER_GPIO, PI_BAD_WAVE_BAUD, or PI_GPIO_IN_USE. The serial data is returned in a cyclic buffer and is read using bb_serial_read. It is the caller's responsibility to read data from the cyclic buffer in a timely fashion. This function copies up to bufSize bytes of data read from the bit bang serial cyclic buffer to the buffer starting at buf. user_gpio: 0-31, previously opened with bb_serial_read_open. buf: an array to receive the read bytes. Returns the number of bytes copied if OK, otherwise PI_BAD_USER_GPIO or PI_NOT_SERIAL_GPIO. The bytes returned for each character depend upon the number of data bits data_bits specified in the bb_serial_read_open command. This function closes a GPIO for bit bang reading of serial data. Returns 0 if OK, otherwise PI_BAD_USER_GPIO, or PI_NOT_SERIAL_GPIO. This function inverts serial logic for big bang serial reads. invert: 0-1, 1 invert, 0 normal. Returns 0 if OK, otherwise PI_NOT_SERIAL_GPIO or PI_BAD_SER_INVERT. This returns a handle for the device at address i2c_addr on bus i2c_bus. No flags are currently defined. This parameter should be set to zero. Physically buses 0 and 1 are available on the Pi. Higher numbered buses will be available if a kernel supported bus multiplexor is being used. The GPIO used are given in the following table. Returns a handle (>=0) if OK, otherwise PI_BAD_I2C_BUS, PI_BAD_I2C_ADDR, PI_BAD_FLAGS, PI_NO_HANDLE, or PI_I2C_OPEN_FAILED. For the SMBus commands the low level transactions are shown at the end of the function description. The following abbreviations are used. Rd/Wr (1 bit) : Read/Write bit. Rd equals 1, Wr equals 0. A, NA (1 bit) : Accept and not accept bit. Addr (7 bits): I2C 7 bit address. Comm (8 bits): Command byte, a data byte which often selects a register. Data (8 bits): A data byte. Count (8 bits): A data byte containing the length of a block operation. [..]: Data sent by the device. This closes the I2C device associated with the handle. handle: >=0, as returned by a call to i2c_open. This sends a single bit (in the Rd/Wr bit) to the device associated with handle. bit: 0-1, the value to write. Returns 0 if OK, otherwise PI_BAD_HANDLE, PI_BAD_PARAM, or PI_I2C_WRITE_FAILED. This sends a single byte to the device associated with handle. bVal: 0-0xFF, the value to write. This reads a single byte from the device associated with handle. Returns the byte read (>=0) if OK, otherwise PI_BAD_HANDLE, or PI_I2C_READ_FAILED. This writes a single byte to the specified register of the device associated with handle. i2c_reg: 0-255, the register to write. This writes a single 16 bit word to the specified register of the device associated with handle. wVal: 0-0xFFFF, the value to write. This reads a single byte from the specified register of the device associated with handle. 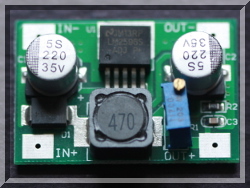 i2c_reg: 0-255, the register to read. Returns the byte read (>=0) if OK, otherwise PI_BAD_HANDLE, PI_BAD_PARAM, or PI_I2C_READ_FAILED. This reads a single 16 bit word from the specified register of the device associated with handle. Returns the word read (>=0) if OK, otherwise PI_BAD_HANDLE, PI_BAD_PARAM, or PI_I2C_READ_FAILED. This writes 16 bits of data to the specified register of the device associated with handle and and reads 16 bits of data in return. i2c_reg: 0-255, the register to write/read. This writes up to 32 bytes to the specified register of the device associated with handle. buf: an array with the data to send. count: 1-32, the number of bytes to write. This reads a block of up to 32 bytes from the specified register of the device associated with handle. buf: an array to receive the read data. The amount of returned data is set by the device. Returns the number of bytes read (>=0) if OK, otherwise PI_BAD_HANDLE, PI_BAD_PARAM, or PI_I2C_READ_FAILED. This writes data bytes to the specified register of the device associated with handle and reads a device specified number of bytes of data in return. buf: an array with the data to send and to receive the read data. The smbus 2.0 documentation states that a minimum of 1 byte may be sent and a minimum of 1 byte may be received. The total number of bytes sent/received must be 32 or less. This reads count bytes from the specified register of the device associated with handle . The count may be 1-32.
count: 1-32, the number of bytes to read. Returns the number of bytes read (>0) if OK, otherwise PI_BAD_HANDLE, PI_BAD_PARAM, or PI_I2C_READ_FAILED. This writes 1 to 32 bytes to the specified register of the device associated with handle. buf: the data to write. This reads count bytes from the raw device into buf. buf: an array to receive the read data bytes. count: >0, the number of bytes to read. Returns count (>0) if OK, otherwise PI_BAD_HANDLE, PI_BAD_PARAM, or PI_I2C_READ_FAILED. This writes count bytes from buf to the raw device. buf: an array containing the data bytes to write. count: >0, the number of bytes to write. Returns >= 0 if OK (the number of bytes read), otherwise PI_BAD_HANDLE, PI_BAD_POINTER, PI_BAD_I2C_CMD, PI_BAD_I2C_RLEN. PI_BAD_I2C_WLEN, or PI_BAD_I2C_SEG. The address, read, and write commands take a parameter P. Normally P is one byte (0-255). If the command is preceded by the Escape command then P is two bytes (0-65535, least significant byte first). The address defaults to that associated with the handle. The flags default to 0. The address and flags maintain their previous value until updated. The returned I2C data is stored in consecutive locations of outBuf. This function selects a pair of GPIO for bit banging I2C at a specified baud rate. Bit banging I2C allows for certain operations which are not possible with the standard I2C driver. Returns 0 if OK, otherwise PI_BAD_USER_GPIO, PI_BAD_I2C_BAUD, or PI_GPIO_IN_USE. The GPIO used for SDA and SCL must have pull-ups to 3V3 connected. As a guide the hardware pull-ups on pins 3 and 5 are 1k8 in value. This function stops bit banging I2C on a pair of GPIO previously opened with bb_i2c_open. Returns 0 if OK, otherwise PI_BAD_USER_GPIO, or PI_NOT_I2C_GPIO. This function executes a sequence of bit banged I2C operations. The operations to be performed are specified by the contents of inBuf which contains the concatenated command codes and associated data. Returns >= 0 if OK (the number of bytes read), otherwise PI_BAD_USER_GPIO, PI_NOT_I2C_GPIO, PI_BAD_POINTER, PI_BAD_I2C_CMD, PI_BAD_I2C_RLEN, PI_BAD_I2C_WLEN, PI_I2C_READ_FAILED, or PI_I2C_WRITE_FAILED. The address and flags default to 0. The address and flags maintain their previous value until updated. This function returns a handle for the SPI device on the channel. Data will be transferred at baud bits per second. The flags may be used to modify the default behaviour of 4-wire operation, mode 0, active low chip select. The Pi has two SPI peripherals: main and auxiliary. The main SPI has two chip selects (channels), the auxiliary has three. The auxiliary SPI is available on all models but the A and B.
spi_channel: 0-1 (0-2 for the auxiliary SPI). baud: 32K-125M (values above 30M are unlikely to work). Returns a handle (>=0) if OK, otherwise PI_BAD_SPI_CHANNEL, PI_BAD_SPI_SPEED, PI_BAD_FLAGS, PI_NO_AUX_SPI, or PI_SPI_OPEN_FAILED. spi_flags consists of the least significant 22 bits. mm defines the SPI mode. Warning: modes 1 and 3 do not appear to work on the auxiliary SPI. px is 0 if CEx is active low (default) and 1 for active high. ux is 0 if the CEx GPIO is reserved for SPI (default) and 1 otherwise. A is 0 for the main SPI, 1 for the auxiliary SPI. W is 0 if the device is not 3-wire, 1 if the device is 3-wire. Main SPI only. nnnn defines the number of bytes (0-15) to write before switching the MOSI line to MISO to read data. This field is ignored if W is not set. Main SPI only. T is 1 if the least significant bit is transmitted on MOSI first, the default (0) shifts the most significant bit out first. Auxiliary SPI only. R is 1 if the least significant bit is received on MISO first, the default (0) receives the most significant bit first. Auxiliary SPI only. bbbbbb defines the word size in bits (0-32). The default (0) sets 8 bits per word. Auxiliary SPI only. The spi_read, spi_write, and spi_xfer functions transfer data packed into 1, 2, or 4 bytes according to the word size in bits. For bits 1-8 there will be one byte per word. For bits 9-16 there will be two bytes per word. For bits 17-32 there will be four bytes per word. Multi-byte transfers are made in least significant byte first order. E.g. to transfer 32 11-bit words buf should contain 64 bytes and count should be 64. E.g. to transfer the 14 bit value 0x1ABC send the bytes 0xBC followed by 0x1A. The other bits in flags should be set to zero. This functions closes the SPI device identified by the handle. handle: >=0, as returned by a call to spi_open. This function reads count bytes of data from the SPI device associated with the handle. count: the number of bytes to read. Returns the number of bytes transferred if OK, otherwise PI_BAD_HANDLE, PI_BAD_SPI_COUNT, or PI_SPI_XFER_FAILED. This function writes count bytes of data from buf to the SPI device associated with the handle. buf: the data bytes to write. count: the number of bytes to write. This function transfers count bytes of data from txBuf to the SPI device associated with the handle. Simultaneously count bytes of data are read from the device and placed in rxBuf. txBuf: the data bytes to write. rxBuf: the received data bytes. count: the number of bytes to transfer. This function opens a serial device at a specified baud rate with specified flags. The device name must start with /dev/tty or /dev/serial. ser_tty: the serial device to open. baud: the baud rate in bits per second, see below. Returns a handle (>=0) if OK, otherwise PI_NO_HANDLE, or PI_SER_OPEN_FAILED. The baud rate must be one of 50, 75, 110, 134, 150, 200, 300, 600, 1200, 1800, 2400, 4800, 9600, 19200, 38400, 57600, 115200, or 230400. 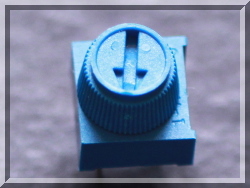 This function closes the serial device associated with handle. handle: >=0, as returned by a call to serial_open. This function writes bVal to the serial port associated with handle. Returns 0 if OK, otherwise PI_BAD_HANDLE, PI_BAD_PARAM, or PI_SER_WRITE_FAILED. This function reads a byte from the serial port associated with handle. Returns the read byte (>=0) if OK, otherwise PI_BAD_HANDLE, PI_SER_READ_NO_DATA, or PI_SER_READ_FAILED. If no data is ready PI_SER_READ_NO_DATA is returned. This function writes count bytes from buf to the the serial port associated with handle. buf: the array of bytes to write. This function reads up to count bytes from the the serial port associated with handle and writes them to buf. count: the maximum number of bytes to read. Returns the number of bytes read (>0) if OK, otherwise PI_BAD_HANDLE, PI_BAD_PARAM, PI_SER_READ_NO_DATA, or PI_SER_WRITE_FAILED. If no data is ready zero is returned. Returns the number of bytes available to be read from the device associated with handle. Returns the number of bytes of data available (>=0) if OK, otherwise PI_BAD_HANDLE. This function is available for user customisation. It returns a single integer value. Returns >= 0 if OK, less than 0 indicates a user defined error. It differs from custom_1 in that it returns an array of bytes rather than just an integer. Note, the number of returned bytes will be retMax or less. This function initialises a new callback. edge: RISING_EDGE, FALLING_EDGE, or EITHER_EDGE. The function returns a callback id if OK, otherwise pigif_bad_malloc, pigif_duplicate_callback, or pigif_bad_callback. The callback is called with the GPIO, edge, and tick, whenever the GPIO has the identified edge. userdata: a pointer to arbitrary user data. The callback is called with the GPIO, edge, tick, and user, whenever the GPIO has the identified edge. This function cancels a callback identified by its id. callback_id: >=0, as returned by a call to callback or callback_ex. The function returns 0 if OK, otherwise pigif_callback_not_found. This function waits for edge on the GPIO for up to timeout seconds. The function returns 1 if the edge occurred, otherwise 0. The function returns when the edge occurs or after the timeout. The number of microseconds level changes are reported for once a noise filter has been triggered (by steady microseconds of a stable level). A string specifying the host or IP address of the Pi running the pigpio daemon. It may be NULL in which case localhost is used unless overridden by the PIGPIO_ADDR environment variable. An unsigned argument passed to a user customised function. Its meaning is defined by the customiser. The count of bytes passed to a user customised function. A pointer to an array of bytes passed to a user customised function. Its meaning and content is defined by the customiser. The speed of serial communication (I2C, SPI, serial link, waves) in bits per second. A value of 0 or 1. A value used to select GPIO. If bit n of bits is set then GPIO n is selected. A convenient way to set bit n is to or in (1<<n). e.g. to select bits 5, 9, 23 you could use (1<<5) | (1<<9) | (1<<23). A buffer to hold data being sent or being received. The size in bytes of a buffer. A >=0, as returned by a call to callback or callback_ex. This is passed to callback_cancel to cancel the callback. A single character, an 8 bit quantity able to store 0-255. The number of bytes to be transferred in an I2C, SPI, or Serial command. The number of data bits in each character of serial data. A number representing the ratio of on time to off time for PWM. The number may vary between 0 and range (default 255) where 0 is off and range is fully on. Used to identify a GPIO level transition of interest. A rising edge is a level change from 0 to 1. A falling edge is a level change from 1 to 0. A negative number indicating a function call failed and the nature of the error. The number of times a GPIO is swiched on and off per second. 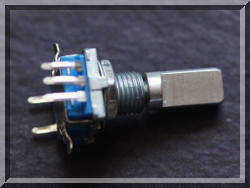 This can be set per GPIO and may be as little as 5Hz or as much as 40KHz. The GPIO will be on for a proportion of the time as defined by its dutycycle. A Broadcom numbered GPIO, in the range 0-53. There are 54 General Purpose Input Outputs (GPIO) named gpio0 through gpio53. They are split into two banks. Bank 1 consists of gpio0 through gpio31. Bank 2 consists of gpio32 through gpio53. All the GPIO which are safe for the user to read and write are in bank 1. Not all GPIO in bank 1 are safe though. Type 1 boards have 17 safe GPIO. Type 2 boards have 21. Type 3 boards have 26. The user GPIO are marked with an X in the following table. A number referencing an object opened by one of i2c_open, notify_open, serial_open, and spi_open. The address of a device on the I2C bus. Flags which modify an I2C open command. None are currently defined. A register of an I2C device. A buffer used to pass data to a function. The number of bytes of data in a buffer. A whole number, negative or positive. A flag used to set normal or inverted bit bang serial data level logic. The level of a GPIO. Low or High. There is one exception. If a watchdog expires on a GPIO the level will be reported as PI_TIMEOUT. See set_watchdog. The operational mode of a GPIO, normally INPUT or OUTPUT. The number of bytes used to store characters in a string. Depending on the number of bits per character there may be 1, 2, or 4 bytes per character. The number of parameters passed to a script. The number of pulses to be added to a waveform. The associated data starts this number of microseconds from the start of the waveform. A buffer used to return data from a function. The size in bytes of an output buffer. An array of script parameters. A string specifying the port address used by the Pi running the pigpio daemon. It may be NULL in which case "8888" is used unless overridden by the PIGPIO_PORT environment variable. A thread identifier, returned by start_thread. 1-100, the length of a trigger pulse in microseconds. An array of pulses to be added to a waveform. The maximum number of bytes a user customised function should return. A pointer to a buffer to receive data. The user GPIO to use for the clock when bit banging I2C. A pointer to the text of a script. An id of a stored script as returned by store_script. The user GPIO to use for data when bit banging I2C. Flags which modify a serial open command. None are currently defined. The name of a serial tty device, e.g. /dev/ttyAMA0, /dev/ttyUSB0, /dev/tty1. A standard type used to indicate the size of an object in bytes. The number of microseconds level changes must be stable for before reporting the level changed (set_glitch_filter) or triggering the active part of a noise filter (set_noise_filter). The number of (half) stop bits to be used when adding serial data to a waveform. A function of type gpioThreadFunc_t used as the main function of a thread. An array of bytes to transmit. A whole number >= 0. 0-31, a Broadcom numbered GPIO. A pointer to arbitrary user data. This may be used to identify the instance. One of wave_add_new, wave_add_generic, wave_add_serial. A number representing a waveform created by wave_create.